Greetings From My iPhone ? Cut the bananas into medium-sized chunks. Smother them in the peanut butter so they are completely covered. 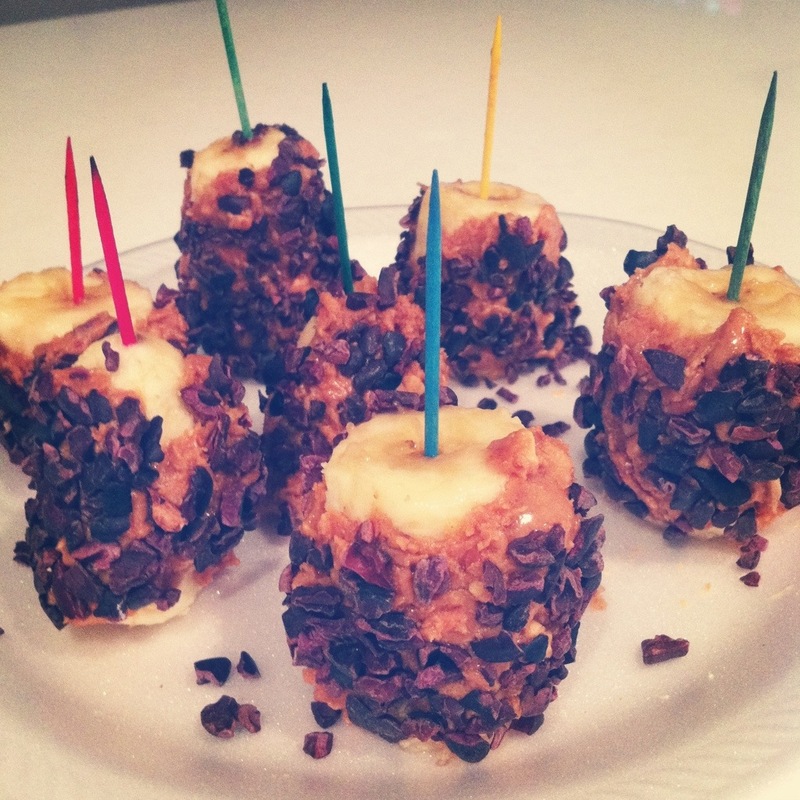 Put the cacao down on a plate and roll your peanut buttered bananas in the cacao. Stick the toothpicks in your finished products then place in the freezer (covered with cling wrap).